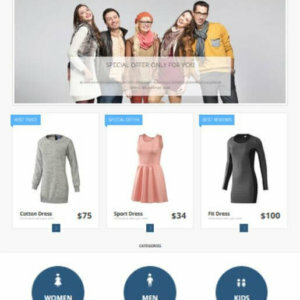 Shopify Pet Shop Theme - With all features you need for your Onlinestore! 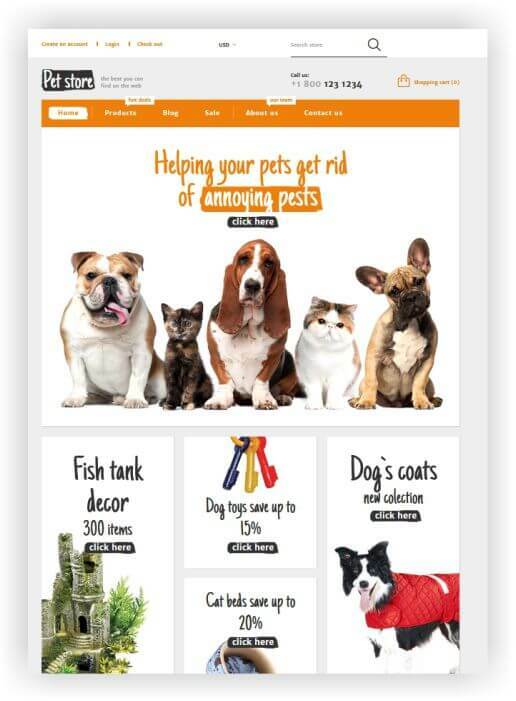 This Shopify Pet Shop Theme was created for animals and pet stores. The author uses clean background with bright orange elements on it. The trick guides visitors’ eyes through the page and stimulates them for action. Playful typography solution is highly relevant for the topic. 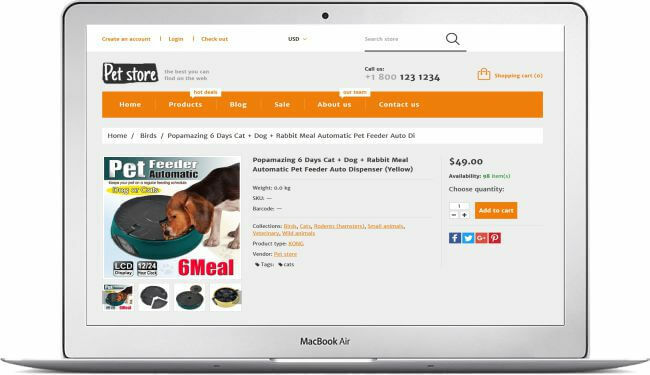 Cute animal images in slider and on banners of Pet Store Shop Template create a positive mood on the page. 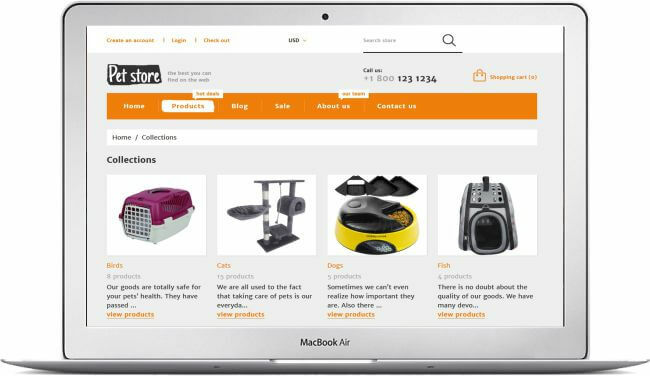 Famous pet suppliers brands, featured at the center of the page, help to create even more reputable company image. 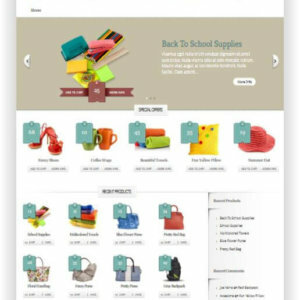 Featured products are presented in four columns. Google maps and social media are also available on the page. 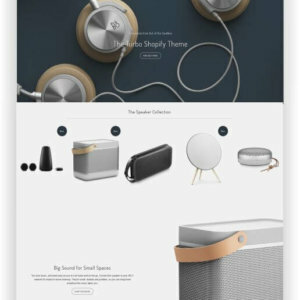 This template is featured in the unsurpassed chart of The Best Shopify Themes 2016. Parallax – Give your visitors the feel of true immerson, an illusion of depth in 2D envvironments of your site. Parallax will definitely make user experience onsite better and make the visitors come back to your website every now and again. Slider – Website slider is a great thing in terms of presenting important information. There you can place your custom slides with promos, new products, or any other things you need to highlight. Sorting Options – The feature provides online shoppers with multiple product display options. Thus, one can apt for a grid or list-based view, sort items by best-selling, display products in alphabetic order, etc. This is an Ajax based feature, so all changes are applied without reloading the page. Search form – A brief and functional search form allows visitors to find any products in just seconds. This template include this feature right from the package. 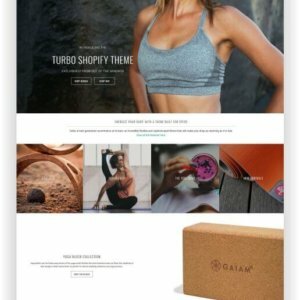 After the Shopify Turbo Theme Portland and the Shopify Turbo Theme Seoul comes now in the Shopify Turbo Theme Chicago – the fastest Shopify theme in the world! Turbo’s new Chicago style instantly lends a dramatic, moody vibe with just the right amount of edge. Perfect for shops to make a strong and memorable visual impact that compliments their brand and products, whether it’s apparel, music, food, photography, or anything in between. Chicago is also a fantastic preset that can be used on special occasions like Halloween, Black Friday and Valentines Day. 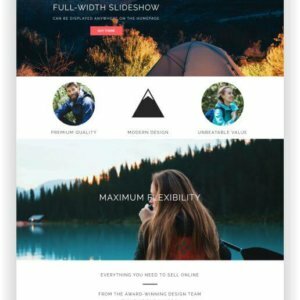 Shopify Parallax Theme Aspen is an uber flexible theme featuring dynamic parallax scrolling effects. 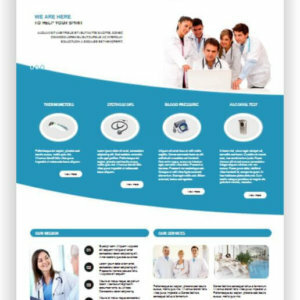 This theme offers a ton of flexibility and control along with a long-format home page and distinctive scrolling style that will help you tell your story in beautiful detail. 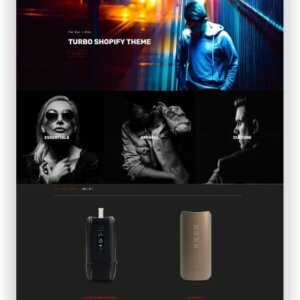 Shopify Turbo Theme Seoul is a sleek new style for turbo, but do not be fooled by its smooth vibe: it knows how to rock.